Pattern piece for a six-piece had crown. This is a pattern-piece for a 6-piece hat crown; the illustration comes from a 1940s hatmaking book I own. It would be useful for creating a sunhat such as in this Burdastyle tutorial. The picture was scanned at 300 dpi and the grid should be 1″ on printout for true sizing. Disclaimer: I have not tried this piece. 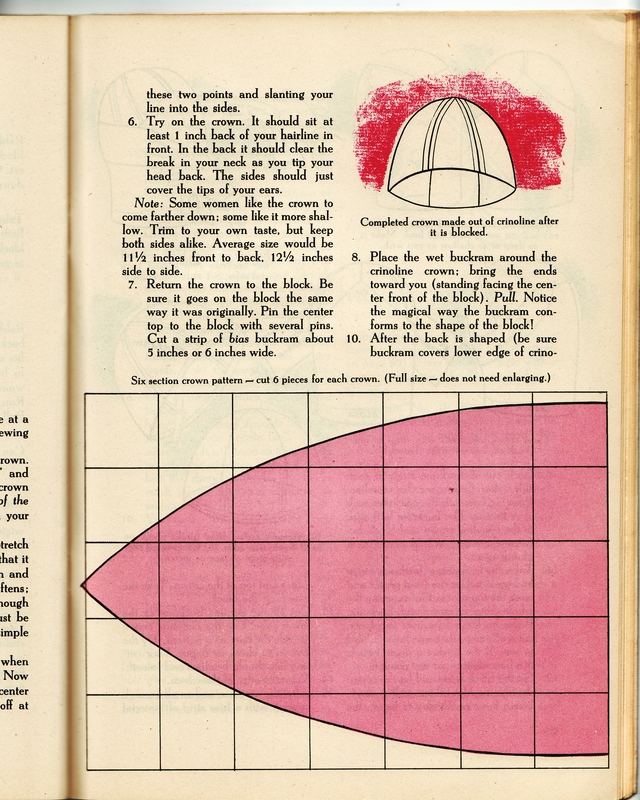 The book suggests using 1/3″ seams for a 22 1/2″ crown circumference, and 1/2″ seams for a 21 1/2″ hat. Your mom sent me your blog and I’ve just spent too long reading it and enjoying your sense of self, style and your sewing. PS I’m marking your site and will be back anothe day!